The AOD – RT Round Dining Table is designed and made locally by Brunswick – based Victorian furniture designer Made by Morgen. The American oak dining table is the circular compatriot to the equally stylish AOD – T and provides a rounded alternative in order to suit differing design requirements. This sophisticated dining table is crafted from sustainably sourced solid American oak timber and is part of Made By Morgen’s signature range of bespoke contemporary, Danish and Scandinavian-influenced furniture. Nicholas and the team and Made by Morgen understand that all design needs are unique so this piece is completely customisable according to materials, dimensions and finish. Contact The Local Project to talk through how the AOD – RT dining table can meet your individual design needs and requirements. Made By Morgen emphasise a products ability to age and embody a story. With inspiration from mid-century Scandinavian design, they work by hand to create refreshing, unique and individualised pieces for clients, places and spaces. The designers maintain traditional workmanship and quality, sourcing materials that support this standard. The socially responsible team at Made by Morgen sees it imperative that they support their local community and environment. Made by Morgen have been running their boutique custom-furniture business in Brunswick, Victoria since 2014. Visit Made By Morgen’s Profile and view his catalogue of locally design furniture products available on The Local Marketplace. 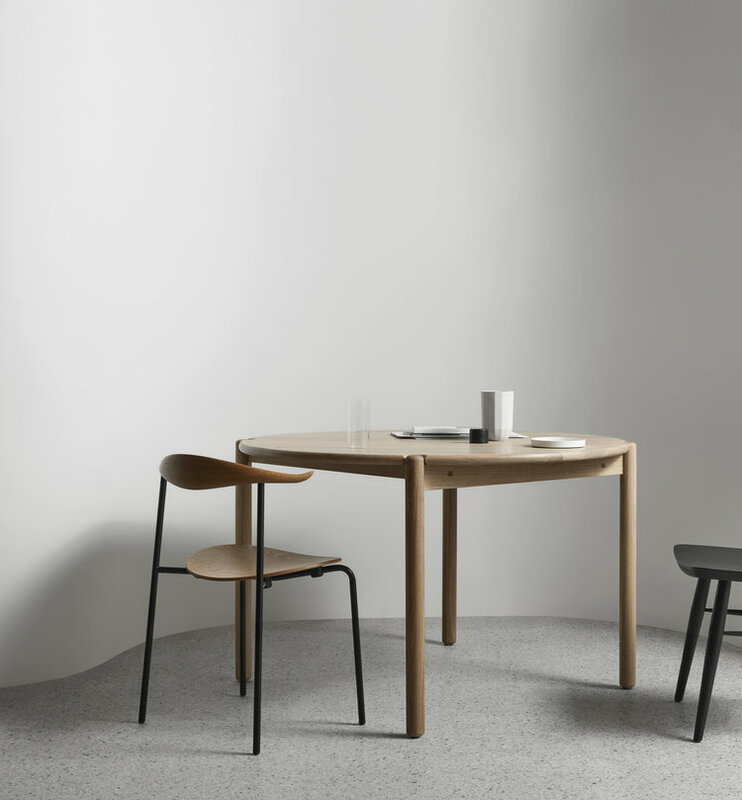 The lead time of the AOD – RT Round Dining Table by Made by Morgen is 10 – 12 weeks. Shipping and delivery of this product is calculated at the check-out of The Local Marketplace. Delivery is between normal business hours of 9AM to 5PM Monday to Friday. Local pick-up can also be arranged from the Made by Morgen Melbourne (Brunswick) workshop – please get in touch at marketplace@thelocalproject.com.au if you would like to arrange this for your round dining table. International shipping of this product is available, please contact our team at marketplace@thelocalproject.com.au for a quote. All Made by Morgen locally designed products, including the AOD – RT Round Dining Table can be uniquely customised – materials, dimensions and finish – upon request. For general information about customisation of this American oak round dining table, or any other furniture product on The Local Marketplace, please contact our team at marketplace@thelocalproject.com.au. The AOD – RT by Made by Morgen comes with a 5 year structural warranty.